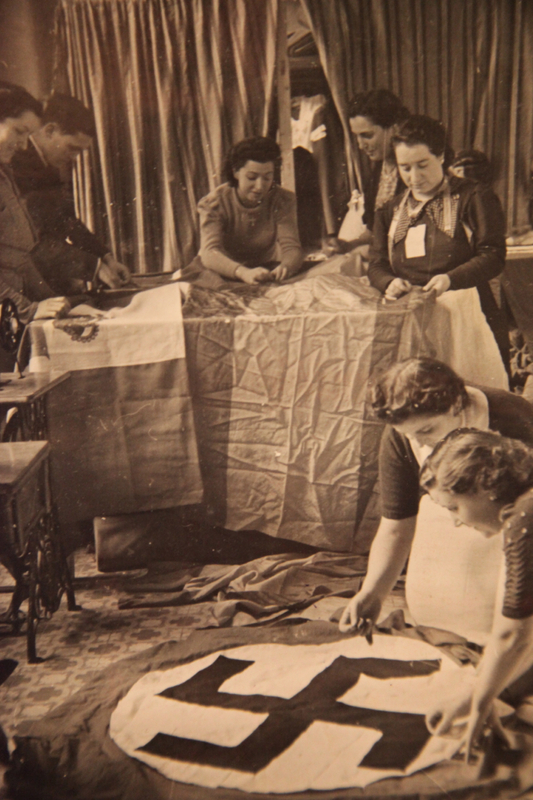 In a photo that looks designed for "Better Nazi Homes and Gardens," Spanish women sew and primp the flags of the three countries that vanquished the Second Republic. I had the pleasure of visiting the ALBA archives a couple of weeks ago with Alan Levine, a New York-based civil rights attorney with a longstanding interest in the Lincolns. In the early 1960s, fresh out of Yale Law School, Alan took a job on Wall Street, a decision which he soon regretted. In 1964 he quit that Wall Street firm to work as a volunteer civil rights lawyer/advocate in Mississippi during the famous Freedom Summer, and has been working in that field ever since. He currently works as a consultant with LatinoJustice PRLDEF (originally the Puerto Rican Legal Defense and Education Fund). And among his current clients are some of the Occupy Wall Street folks who were arrested on the Brooklyn Bridge last fall. Like so many progressive New Yorkers of his generation, Alan has a personal link to the Lincolns. His sister Nancy was married to Fred Rosen, who had been named after (Wil)fred “Mendy” Mendelson, one of the thirteen CCNY students who fought and died in Spain. Fred was the son of Alex Rosen; Alex had been a classmate of Mendy’s at CCNY, and served as Dean of NYU’s School of Social Work between 1960 and 1970. Alan Levine told me that Fred Rosen honored the spirit of principled dissent that characterized his namesake: he was a longtime anti-war activist who refused induction into the army during the Vietnam War. 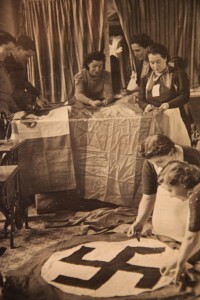 The Shapiro Spanish Civil War Scrapbook was donated to Brandeis University by Barbara and Ralph Shapiro “To honor Gert and Harry whose son Wilfred “Mendy” Mendelson fell in Spain July 28, 1938.” The scrapbook contains international press photographs taken in Spain during the Spanish Civil War era. The scrapbook, which has been dismantled, consists of 99 leaves, each 14″ by 18.5.” Photographs are pasted on both sides of each leaf. Each photograph is accompanied by what appears to be a catalogue number. Some of the “catalogue” numbers are accompanied by names of photographers, agencies or publications: Gesperrt, Scherl, Estroff and Illustrafot. What the finding aid does not say is that the three-hundred odd photos in this scrapbook are of Francoist Spain from the very end of the war or the early-post war years, and that the objective of the album seems to be to document and even exalt the Nazi presence in Franco’s Spain. These kinds of images are relatively rare, and extremely valuable, historically speaking. Once Franco saw how World War II was going to turn out, he did his best to purge the historical record of evidence of his “(d)alliance” with Adolf and Benito. In the early 1950s he even went as far as trying to collect all copies of a 1941 film –Raza– that had been based on a screenplay he himself had written, because of the film’s clear pro-Axis and anti-American rhetoric. (More on the story of “Raza” here.) 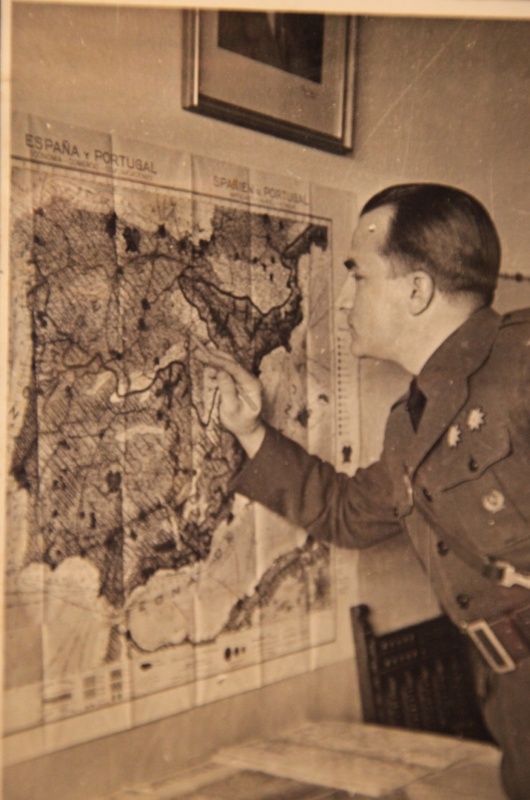 Images like those in the Shapiro Spanish Civil War Scrapbook would become harder to come by, as throughout the late 1940s and early 1950s, Franco strove –with remarkable success– to reinvent his image from that of a fascist partner of the Axis, to that of a Cold War anticommunist partner to the US. 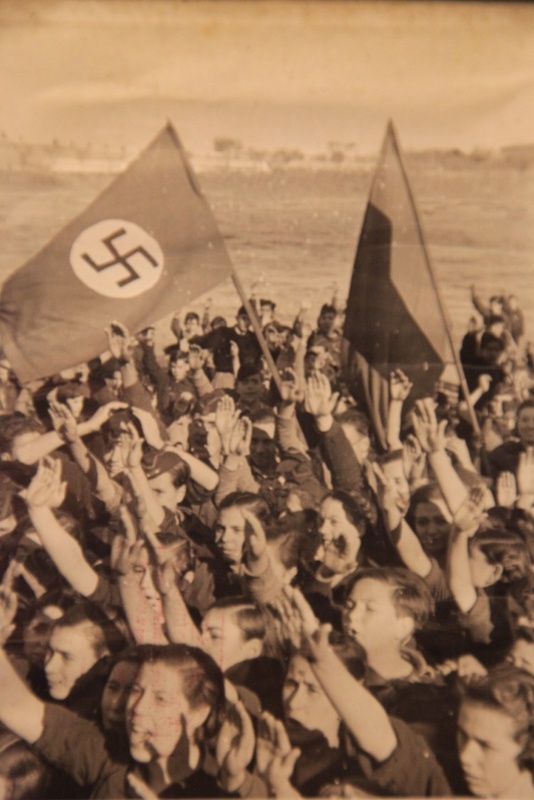 Alan and I speculated as to why the Shapiros, some 40 years after the end of the war in Spain, would donate Nazi photos to the ALBA collection (established at Brandeis in 1979), as a gesture meant to honor the parents of a fallen Lincoln volunteer. One plausible explanation we came up with is that in the context of the Cold War erasure of Franco’s ties to European fascism, this album recalls the stakes of the war in Spain, and in doing so, reaffirms the prescience and courage of men and women like Wilfred Mendy Mendelson. 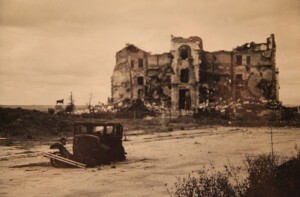 Men and women who as early as 1936 knew all too well what those stakes were, and who gave their lives to put an end to fascism when most Americans were content to just watch from the sidelines. On that placid June afternoon a few weeks ago, as Alan and I pored and puzzled over the enigmatic and troubling images that the Ralph and Barbara Shapiro had donated to ALBA, we too paid homage in our own way to the prescient and courageous Wilfred Mendy Mendelson, and to the parents who had raised him and mourned him. 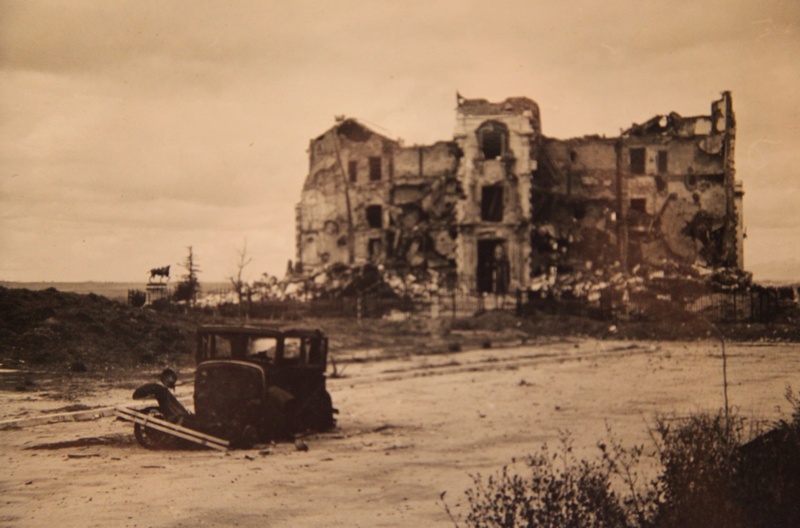 Patricia Campelo, a Spanish journalist at publico.es who specializes in issues of historical memory will soon file a report on these images in which she will ask Spaniards to help us identify the places and faces of the photographs. Stay tuned for the link. Thank you for this post, Jim. Very interesting!